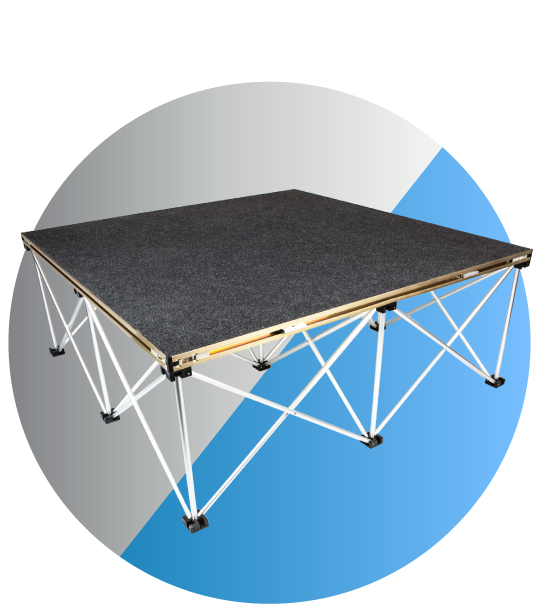 Revostage is an easy to use modular staging system that is based on two main elements – a patented telescopic riser support and a structural stage platform. It has numerous applications such as podiums, catwalks, rostrums, tiered seating and staging areas, raised flooring, drum risers, exhibition stands and many other event requirements. 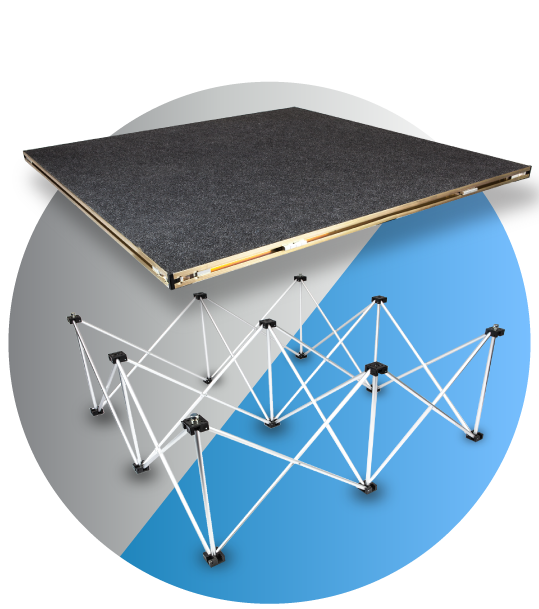 If space is limited, you’ll need a compact, light and strong system like Revostage® as it packs away into just 15% of its assembled size meaning it can be easily transported to your next event in a car or other small vehicle. Time is invaluable before any performance; a stage that is quick and simple to erect is essential, so that you can get on with any last minute preparations. Some staging systems consist of several, complicated parts; but Revostage® is made up of just two and thanks to its unique fixing system, it can be erected and dismantled with the use of a simple Allen key, with no specialist tools required. Revostage® is modular, so it can be added to over time, making any initial outlay really work for you over the long-term. The Revostage® system comes with a range of flexible payment options. Educational, arts and leisure organisations may also be able to benefit from additional discounts.